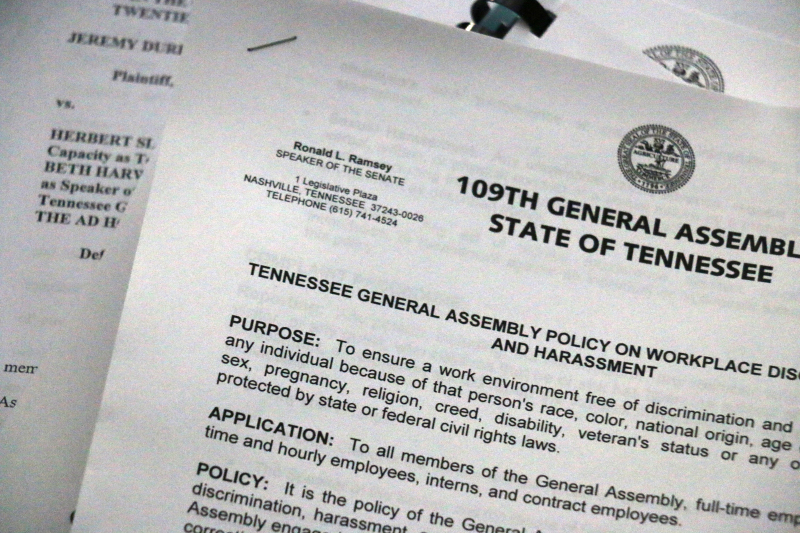 After release of a new policy to combat sexual harassment in the legislature, we asked Williamson candidates what they thought of the new guidelines. After the findings and release of a new policy designed to combat sexual harassment in the legislature, the Home Page asked each of the Williamson County House candidates what they thought about the new guidelines. A senior male lobbyist expressed during his interview in the Attorney General’s investigation of Rep. DurhamÃ¢â‚¬â€¹ that enduring a legislator’s sexual advances is merely part of a female lobbyist’s job. Do you think the Speaker’s new discrimination and harassment policy will be effective in addressing such behavior? We clearly need new policies and procedures to reign in misbehavior that is apparently an epidemic at Legislative Plaza. But the fact that it has not already been done underlines the need to replace those who have been there, tolerated it and perhaps participated in it. It is clearly not a new problem, but will require new leadership to fix it. No one deserves to be subjected to abuse or harassment as part of his or her job. This investigation has revealed some challenges with the system, and I am confident that the leadership and the staff of the General Assembly will address it in an appropriate and effective manner. Speaker Harwell is the first female Speaker of the House in the history of the state, and that allows her the kind of perspective that will ensure she gets both the policy and the implementation right. “Sexual advances” and harassment by our state legislators is completely and totally unacceptable. Such allegations should be thoroughly investigated and if violations are found, the results of the investigation should be fully disclosed to the public. I agree with Speaker Harwell’s decision to broaden the scope and applicability for the discrimination and harassment policy to part-time and seasonal staff. Multiple avenues through which an allegation can be made are also reasonable and supervisors should indeed be required to report any such accusation so that a full inquiry can be made. Alleged victims or whistleblowers should be afforded as much protection as possible by law and should not fear retribution or reprisal. The bottom line for any such nonsense is zero tolerance. I am in favor of the new policies proposed by Speaker Harwell and believe we should do everything in our power to ensure a safe and open working environment for all. It is unfortunate those on the other side of the aisle have attempted to use the current situation for political gain by trying to paint a picture of discrimination and harassment being a common theme in the legislature or imply some sort of cover-up by GOP officials. This allegation simply is not true and it is sad Democratic leadership would stoop to such accusations. Republicans have worked hard since becoming the majority to increase transparency across the board and we will continue doing so in the future. Now is not a time for political games, but a time to come together in support of those that need our help. This sexual harassment policy is way too little, way too late. The fact that we even need a sexual harassment policy is disturbing. No one should ever have to endure this sort of abuse while simply trying to do their jobs. The leadership of the Republican party protected a sexual predator and should be held accountable. For way too long, a culture of abuse has been acceptable and I’m not willing to let this continue. It’s time to clean out our state house. The new policy is certainly a step in the right direction, and I applaud those who worked to put clear and strict ground rules in place. But it’s a sad commentary on the General Assembly’s frat house culture that appropriate behavior has to be defined, and we all know it’s impossible to legislate behavior. The sort of unseemly conduct this is meant to be addressed isn’t restricted by political party and while we’ve recently seen egregious examples, it’s not new, either. Leaders of both parties have failed women. In addition to the victims of harassment, voters suffer, too — when legislators are perpetrating this kind of behavior or defending themselves, the ability to accomplish meaningful and necessary work for our district suffers. I would welcome any change to prevent the reprehensible conduct detailed in the recent Attorney General’s investigation. As a company, battalion and brigade commander in the US Army, it was my responsibility and duty to protect my soldiers from sexual intimidation, abuse and harassment. I never hesitated to initiate administrative separation or judicial action against those who abused their position of authority against other soldiers. Parents trusted us to protect their daughters from abuse while serving our nation as a member of the armed forces. Tennessee parents expect the same for their daughters working in our state capital. Rep. Jeremy Durham didn’t respond to this week’s email.